Come celebrate our 50th anniversary with us! 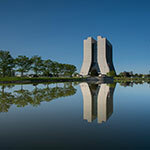 1967 marked the birth of Fermilab. 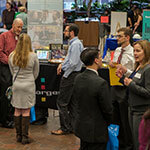 That year the lab hired its first employees and began operations in Illinois.To celebrate our 50th anniversary, we are offering numerous events for the public to enjoy, to find out more about our laboratory, and to learn about the research we do to advance humankind’s understanding of energy, matter, space and time. Fermilab has an exciting history of discovery and innovation and has made important contributions to the ultimate goal of understanding how the universe works. And we have ambitious plans for new research projects in the years ahead. 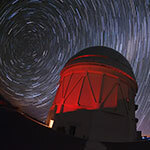 We welcome you to tour our laboratory, see our exhibits, take in a show, view our art gallery, enjoy the view from the 15th floor of Wilson Hall and ask a scientist about the universe. Our site is open to the public every day of the year, and we offer many education, arts and visitor programs for the public to enjoy. For more information and a calendar of all public events, visit events.fnal.gov. Wednesday, Jan. 11, 4 p.m. Scientist Dan Green discusses Fermilab’s leadership in the exploration of the Standard Model throughout its 50-year history. Now exploration beyond the Standard Model is the future, with Fermilab hosting DUNE and CERN hosting the High-Luminosity LHC. This event is free. 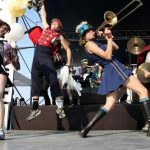 Saturday, Jan. 21, 2017, 7 p.m.
Join us for a concert by Mucca Pazza at 8 p.m., preceded by a party with dessert, music, an art exhibit, Einstein, Mr. Freeze and some very cool science demos at 7 p.m. Tickets are required. Wednesday, Jan. 25, 2017, 4 p.m.
University of Pennsylvania scientist Gino Segrè and writer Bettina Hoerlin discuss the incredible achievements of Fermilab’s namesake, Enrico Fermi, especially how he was shaped by history and how he, in turn, shaped history. This event is free. Friday, Jan. 27, 2017, 8 p.m.
Senior Fermilab scientist Chris Quigg presents Fermilab’s Greatest Hits: Highlights from the First Fifty Years. Tickets are required. 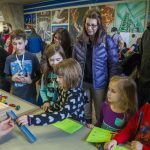 Sunday, Feb. 12, 2017, 1-5 p.m.
Bring your kids to Fermilab’s annual Family Open House in Wilson Hall with hands-on activities for the entire family. 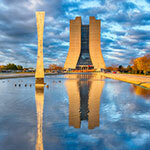 Event is free and supported by Fermilab Friends for Science Education. Fermilab physicist Pushpa Bhat celebrates the lab’s 50th all the way over in Valencia, Spain, at the Insitut de Fisica Corpuscular. Her talk highlights the laboratory’s major discoveries over its half-century history. 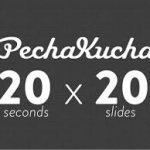 Thursday, Feb. 16, 2017, 7 p.m.
Fermilab hosts PechaKucha Night Batavia, which is an informal and fun gathering where creative people get together and share their ideas, works, thoughts in the PechaKucha format: 20 slides, 20 seconds each. 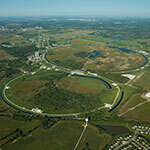 Wednesday, March 8, 2017, 4 p.m.
Fermilab’s third director, John Peoples, walks through history of the Tevatron and the accelerator complex, starting from the early days of the Energy Doubler. The event is free. Sunday, March 12, 1 p.m.
Fermilab’s first Spanish-language Ask-a-Scientist, Pregunte a un Científico takes place during our 50th anniversary. 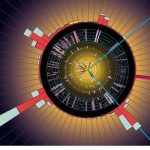 Scientist Minerba Betancourt will address “La Fábrica de Neutrinos Más Fuerte/Potente del Mundo.” Registration is required. Wednesday, March 15, 6 p.m.
Fermilab scientist emeritus Michael Albrow speaks at an after-dinner talk to the American Society of Mechanical of Engineers about contributions Fermilab has made to science and the local community. NIU-Naperville, Room 161, 1120 E. Diehl Road. ASME members, guests: $20. Students: free. 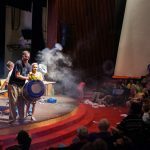 Sunday, March 19, 1 p.m.
Watch amazing science demonstrations at our annual Wonders of Science show. Tickets are required. Friday, March 24, 8 p.m. 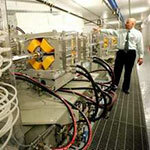 In the 1990s, Fermilab built the first proton accelerator dedicated to cancer treatment at a medical center. 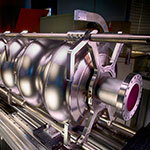 In this Lecture Series talk, scientist Mark Pankuch discusses cancer treatment using proton accelerators, available at about a dozen centers across the United States. Tickets are required. Wednesday, March 29, 3:30 p.m. 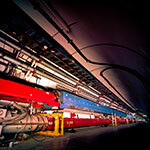 In this extended Colloquium, University of Chicago physicists and Fermilab alums Rocky Kolb and Michael Turner look back at the history of the cosmic frontier at Fermilab and examine the big, open questions facing both particle physics and cosmology. The event is free. Wednesday, April 19, 5:30 p.m. This year Fermilab presents its 10th STEM Career Expo, where students can meet scientists, engineers, and technicians, ask experts career questions, and attend panel discussions on various career fields. The event is free. 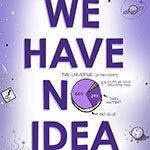 Friday, May 19, 8 p.m.
PHD Comics’ Jorge Cham and UC Irvine’s Daniel Whiteson stop at Fermilab on a tour for their book, “We Have No Idea.” You might know how the universe works. But you might not know how much we don’t know. The authors turn those unknown unknowns into known unknowns. Tickets are required. Monday, June 5, 5 p.m.
Fermilab founding director Robert Wilson hand-picked artist Angela Gonzales to help create a visual identity for Fermilab. “A Lasting Mark: Artist Angela Gonzales at Fermilab, 1967-1998” showcases her bold, inspiring work over 31 years at the lab. The exhibit will run from June 1 to Sept. 30. Fermilab invites scientists from around the world to gather and discuss the lab’s achievements and plans for the future. Registration is required. Fermilab’s was the third website in the United States. So what better way to recognize our birthday than with an online celebration? 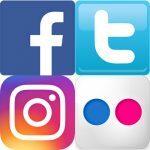 Join us through social media to celebrate Fermilab’s 50th birthday. It was on June 15, 1967, that the lab’s first employees reported to work in an office in Illinois. 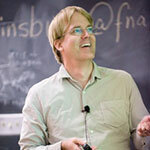 Friday, July 14, 8 p.m.
Fermilab Chief Research Officer Joe Lykken gives us the rundown on neutrinos, the oddballs of elementary particles. The story of these “little neutral ones” has many surprises and inspiring examples of daring experimental initiative. Tickets are required. 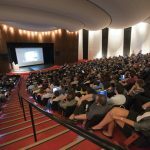 The American Physical Society Division of Particles and Fields will hold their 2017 meeting at Fermilab. 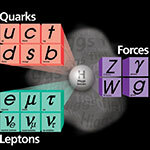 The meeting brings the members of the division together to review results and discuss future plans and directions for the field of particle physics. Registration is required. Wednesday, Sept. 6, 6 p.m. The Chicago Council on Science and Technology hosts a discussion on the cutting-edge research at Fermilab. Fermilab COO Tim Meyer moderates a panel of three scientists to talk cosmology, accelerators and supercomputing. Q&A will follow. The free event is at Harold Washington Center. 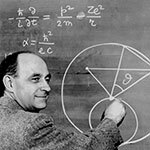 Friday, Sept. 15, 2017, 8 p.m.
University of Pennsylvania scientist Gino Segrè and writer Bettina Hoerlin discuss the incredible achievements of Fermilab’s namesake, Enrico Fermi, especially how he was shaped by history and how he, in turn, shaped history. Tickets are required. Friday, Sept. 22, 3:30 p.m.
Fermilab scientist Pushpa Bhat speaks at Northern Illinois University in DeKalb as part of the Physics Department’s Colloquium series. She discusses the highlights of Fermilab’s past 50 years, its future program and its role in the global particle physics. Location is at NIU in La Tourette Hall 200. Saturday, Sept. 23, 10 a.m.-4 p.m.
It’s our biggest Open House in decades. Registration is full. Thursday, Oct. 12, 3:45 p.m.
Fermilab scientist Pushpa Bhat speaks at Wayne State University in Detroit, Michigan, as part of the Physics Department’s Colloquium series. She discusses the highlights of Fermilab’s past 50 years, its future program and its role in the global particle physics. Location is in Room 245 of the university’s Physics Building. Thursday, Oct. 19, 6-10 p.m. 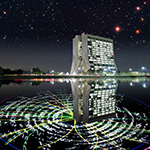 Explore the dark side of the universe with special programs from the folks at Fermilab: virtual reality demos and activities on particle physics and dark matter. 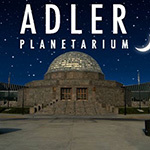 If that’s too dark for you, dance to the beats of Thriller and other Halloween classics, try some special brews from one of Adler’s partner breweries, and do some hands-on spooky science experiments! Friday, Oct. 27, 8 p.m.
Moogega Cooper of Jet Propulsion Laboratory discusses the NASA’s Mars 2020 rover mission, which is designed to investigate key question related to the habitability of Mars. 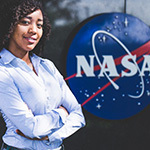 She’ll describe planetary protection and why it is an important aspect of space exploration. Tickets are required. 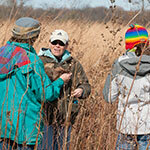 Saturdays, Sept. 30 and Oct. 28, 10 a.m.-2 p.m.
Help restore tallgrass prairie at our seed harvest. This long-standing tradition complements the vision of founding director Robert Wilson to surround those working on the smallest pieces of nature with a natural laboratory. We’ll present on 50 native plant and animal species. Hot dog lunch is provided. Fermilab scientist Dan Green speaks at Florida State University in Tallahassee as part of the Physics Department’s Colloquium series. His talk focuses on Fermilab’s contributions to science over its 50-year history. Fermilab scientist Dan Green speaks at the University of Florida in Gainesville as part of the Physics Department’s Colloquium series. His talk focuses on Fermilab’s contributions to science over its 50-year history. Communicate with Fermilab experts via long-distance radio. 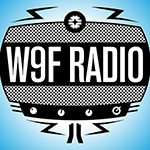 The club has established a call sign for this special two-week event: W9F. They’ll operate daily on all frequencies and modes. Anticipated frequencies of operation are 14.260, 14.340, 7.250 and 7.275 MHz. There may also be operations on 7.040, 10.130 and 14.040.